Commercial real estate transactions can be lucrative investments, however there may also be high risk due to the amount of money that is generally at stake. 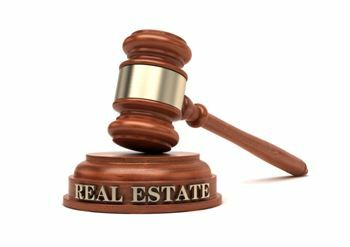 The following are some examples of legal issues that sometimes arise during the sale or purchase of commercial property. When you are shopping for a product, it is often relatively easy to compare the price and quality to another similar product. However, pieces of real estate are often unique with no exact comparison based on size, age, use, and/or state of the building or land, making accurate valuation significantly more challenging. In addition, any current income stream or potential for future income associated with commercial property should also be a factor in determining a fair and reasonable price. Utilizing an experienced commercial appraiser can assist both buyers and sellers with determination of value. Just like any type of business transaction, commercial real estate transactions require considerable investigation. This allows a buyer to know exactly what is involved in the transaction and sheds light on any potential problems with their intended use. For example, you want to make sure that the zoning for the property allows your intended use, title of the property will identify liens, and easements, and identifying the property corners will assist in identifying possible encroachments. Hiring an experienced attorney will assist you in avoiding costly errors. Prior to purchasing a piece of commercial real estate, you will want to make sure you are not assuming liability for any violations of law that may exist. For example, if you buy the property and then later find out that environmental hazards exist, you will be liable for eliminating the hazard whether or not you or the previous owner actually caused it. Such liability may be expensive and the potential for it should be examined prior to closing a sale. Real estate can be a great investment for your business, though such purchases can also tie up a significant amount of liquid assets for a lengthy period of time. If you have difficulty filling vacancies or collecting rent from tenants, you may not be able to make your required payments to your financing company. Additionally, if you decide to sell the property due to financial struggles, it may take some time especially if the market is down. All of these long-term risks should be evaluated before you close any type of commercial real estate transaction. Commercial real estate transactions can be very complicated and the above are only some examples of legal issues that must be addressed. If you are considering purchasing or selling commercial real estate, you should discuss your situation with an experienced real estate attorney at the Structure Law Group, LLP as soon as possible. Call us at 408-441-7500 for help today.